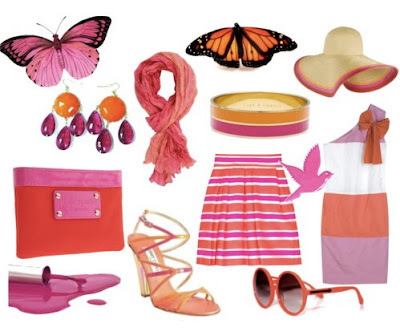 Hey, Lady Grey: How do you feel about Pink & Orange? How do you feel about Pink & Orange? Warm, vibrant & summery or color-clash? its strange, but it works. one of my favorite summer tops is pink/orange/white stripes and i love it! i think its pretty much only a summer color combo though. I like it! It's fresh and happy!